Wainscot Media is a full-service communications company which specializes in home design, health and lifestyle content. It produces targeted media: regional special-interest magazines and the ultimate in target marketing, custom media. 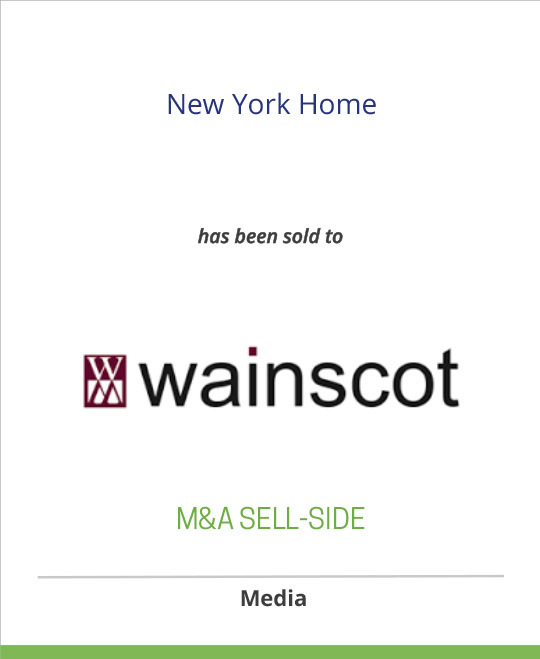 Wainscot is the leading publisher of regional magazines for the New York metropolitan area, with nine titles serving nearly 480,000 of the most affluent households in New York, New Jersey and Connecticut. Titles include New York Spaces, the home design magazine for and about the world’s design capital, metropolitan New York; Bergen Health & Life, the good living magazine for residents of Bergen, New Jersey’s largest county; Monmouth Health & Life, the essential guide to living well in Monmouth, one of New Jersey’s fastest-growing counties (produced in partnership with Monmouth Medical Center); Morris Health & Life, the inside scoop for residents of Morris County, New Jersey (produced in partnership with Saint Clare’s Health System); Westchester Health & Life, the good living magazine for the good people of Westchester County, New York (produced in partnership with Westchester Medical Center); and Middlesex Health & Life, the guide to living well in Middlesex County, New Jersey (produced in partnership with Saint Peter’s University Hospital).